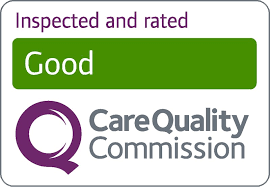 A friendly and caring residential home in the heart of Dorchester, Dorset. 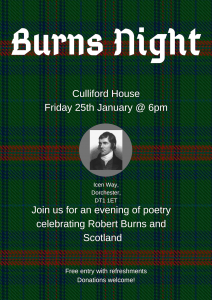 Please join us on Friday 25th January for an evening of poetry celebrating Robert Burns and Scotland. Come along to enjoy the company of everyone at the home. There will be music and refreshments with two talented local poets Pam Hope and Barry Tempest reading Burns poetry and some original work of their own. Free entry and refreshments although donations are welcome! It all kicks off at 6pm.